Image credit: The Bruery, Bruery Terreux. With the intent to deliver a brand that North Texans have been eyeing for years, Andrews Distributing has entered into an agreement with The Bruery® and Bruery Terreux® of Orange, California. 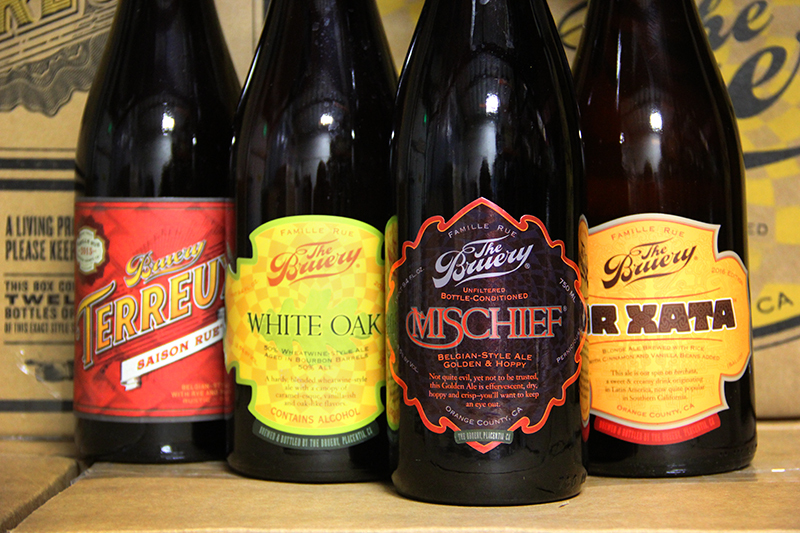 The Bruery gets its name from founder Patrick Rue, who started the business in 2008. Since then, the company has gone on to make a name for itself by specializing in barrel-aged and experimental ales. Just last year, The Bruery launched a co-brand, known as Bruery Terreux, which focuses on sour and wild ale production in a separate facility with dedicated staff and equipment. Together, the two entities capture the excitement Rue felt in his first years as a homebrewer, and with specialized equipment recently added to both facilities, The Bruery and Bruery Terreux are prepared now, more than ever before, to enter the Texas market. Intial shipments to North Texas will include the beers above, see below for a description of each. According to a press release, Andrews plans to launch The Bruery and Bruery Terreux portfolio in North Texas this April. Locals will see both every day and special release beers from The Bruery and Bruery Terreux upon the launch. The Bruery team will also hold release events in the area, with additional details becoming available as the launch date approaches. Mischief® - year-round, hoppy Belgian-style golden strong ale. Or Xata® - spring seasonal, horchata-inspired blonde ale with cinnamon, vanilla, rice and lactose. White Oak - annual release, bourbon barrel-aged wheatwine-style and golden ale blend. Saison Rue® - year-round, farmhouse-style ale brewed with rye and fermented with brettanomyces.